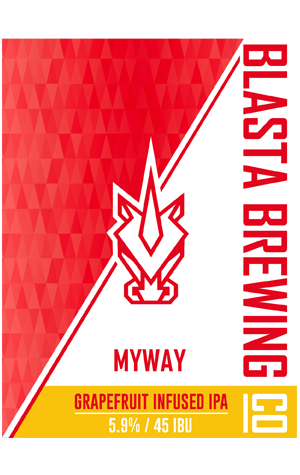 Perhaps Blasta’s most recognisable beer outside of the brewery and the beer that cemented Steven Russell on a path to opening his brewery, Myway IPA could almost be viewed as a statement of intent. The American style IPA is infused with ruby grapefruit and blood orange sourced from Chittering in the Perth Hills and ably delivers a punchy citrus hit atop caramel malts that leave some sweetness beneath the bitter finish. In Blasta's very earliest days, he sent a few kegs to Melbourne, one of which ended up at The Terminus for an IPA Face-Off, up against IPAs from nine other Aussie brewers. It came top in the public vote, suggesting his way is a good way.